Let’s face it – online shopping is now a trend that many practice so it’s usual to see deliveries around our neighborhoods. But are all deliveries legit? Well, a Facebook user recently posted their experience regarding a delivery which turned out to be a scam! 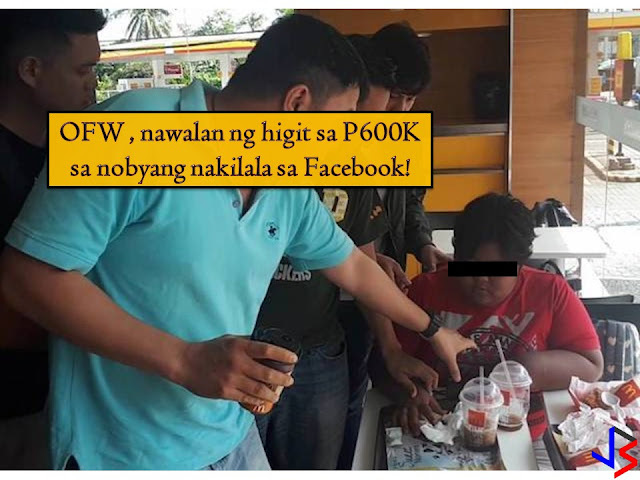 A social media user who goes by the name Jeshika Yan shared on Facebook how they became victims of a COD (cash on delivery) scam. Apparently, on November 15, around 5 pm, Jeshika’s mother received an item which the latter thought was ordered by her daughter online but which she forget to tell her mom due to her busyness at work. 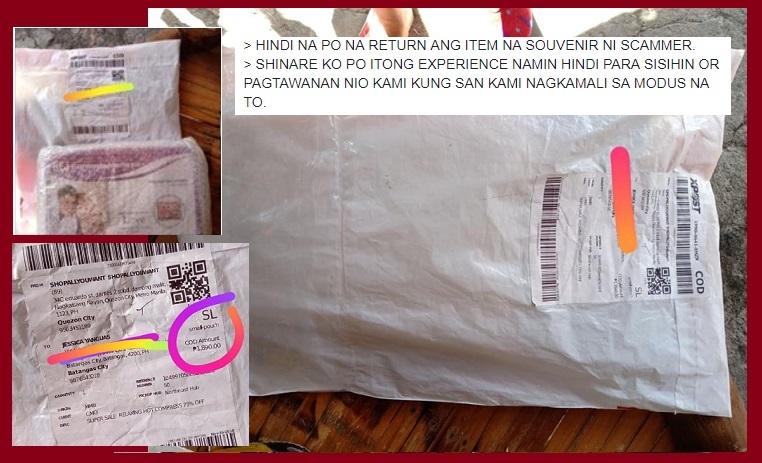 The item was addressed to Jeshika – legit full name and home address - and because she had previous online orders, it seemed easy to believe that her daughter indeed ordered the item, so she paid the courier the amount on the invoice P1,890. Sadly, the mother could not immediately verify with her daughter because her phone was with Jeshika – who borrowed it from her earlier as her own mobile phone was not working. It was after they chatted that they found out they’ve been victimized by a COD scam. 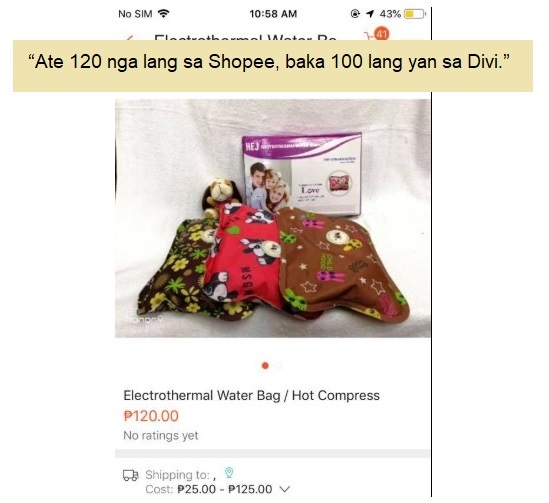 The delivery which cost them almost 2K was an electrothermal water bag which commenters on her post said cost only around P100 - P120 at Shopee. She felt so perplexed after seeing her full name and address on the invoice although the contact number proved to be invented. 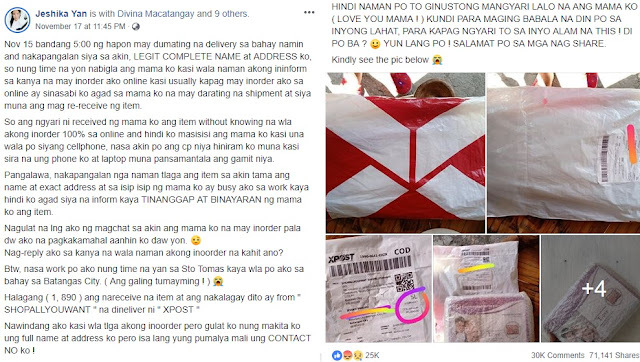 She further shared that she searched "XPOST" online for similar incidents and was able to confirm that they have indeed been scammed; also suspecting that her personal details were probably gotten from two popular online shops where she has ordered in the past. She also expressed that it's a lesson they learned the hard way but which they are sharing to somehow warn the others about the evil doings of some people. On her update, she said the "souvenir ni scammer" item could not be returned as the store address and contact number of the reseller are fake. On the comments sections, there were those who shared similar incidents. Hopefully, these scammers would be apprehended soon. Meanwhile, because online shopping has become a thing of the present, let us be properly guided by tips on how to avoid getting duped. On a final note, make sure to leave instructions in case a delivery is to be expected. It is also advisable that packages be opened in front of the courier to make sure that deliveries are 100% okay.